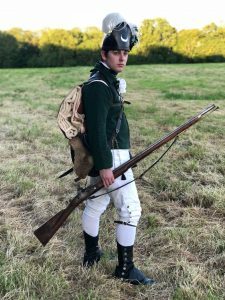 During the American War of Independence 1775-83 the British Army authorised the raising of a number of regiments from the colonial population who remained loyal to the Crown. The Queen’s Rangers was formed in New York by Colonel Robert Rogers, a celebrated officer in the earlier French-Indian War. It was named in honour of Queen Charlotte the wife of King George the Third. It’s first recorded muster was on Staten Island in August 1776 and soon numbered some four hundred officers and men, mainly recruits from Westchester and Long Island. Serving between the opposing lines it was engaged in numerous skirmishes with the rebels. At Mamaroneck, October 22 they beat off a surprise night attack but not without loss of Ensign Huston, about twenty privates killed or wounded, and a further 28-36 captured. It has also been suggested that a pair of colours were taken but this is unlikely, more probably these were small camp colours. It does appear that Robert Rogers, who had ‘gamed himself into poverty’ was unsuitable to command a regular regiment. On January 30, 1777 the position was given to Lieut. Colonel Christopher French, a British Officer. Others holding commissions such as captains Daniel Fraser and John Griffiths were also discharged to be replaced by better quality officers, often from drafted under-strength units such as the Queen’s Loyal Virginia Regiment and Major William Stark’s Corps of Volunteers. This latter comprised Connecticut loyalists. French made enormous progress with the regiment as did his brief successor Major James Wemys, also a British officer. At Brandywine, September 11 and Germantown, October 4 the regiment served with distinction although their losses were heavy, seventy-five in the first action alone. On October 15, 1777 the command passed, finally, to Major John Graves Simcoe. During the winter of 1777-8 the rangers carried out numerous patrols and escorts around Philadelphia. With the withdrawal of the British garrison overland to New York, the rangers served as rearguards and it was noted that they suffered no losses from desertion. 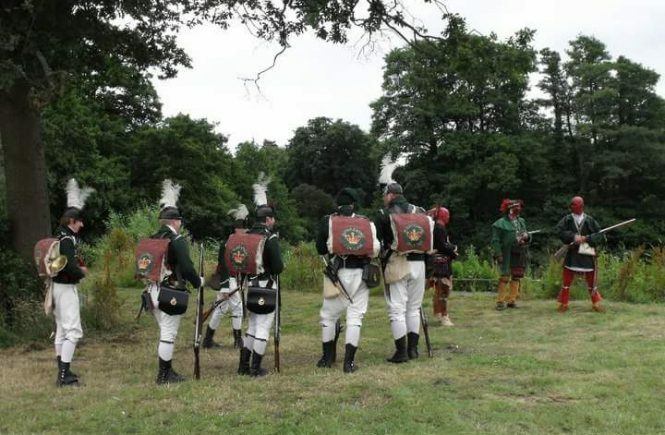 At Monmouth Court House June 28 the corps once more showed their courage in battle. 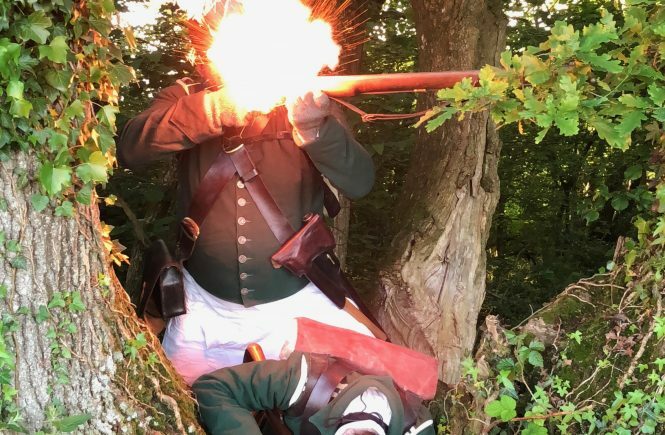 On their return to New York their tactical prowess is revealed in the successful surprising of the Stockbridge Indians serving the rebel side. These natives were superb scouts and marksmen under Chief Abraham Ninham yet, out of sixty, two thirds were killed or captured on August 31, 1778. On October 26, 1779 the rangers were landed at Perth Amboy, New Jersey. Moving rapidly in detachments they destroyed quantities of stores and flat bottom boats. 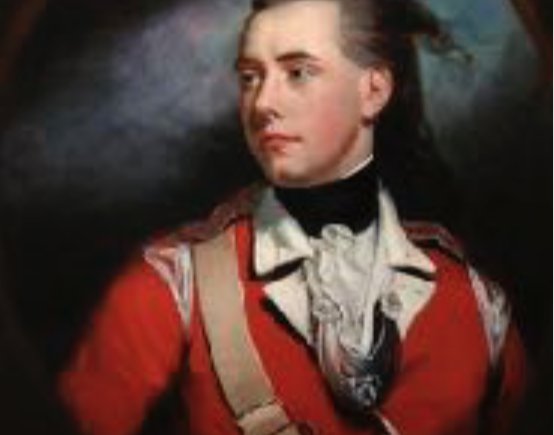 This effective raid would have been considered a complete success had misfortune not befallen Simcoe. When his horse was shot under him he was unable to free himself and fell prisoner to the rebels. To the joy of his regiment he was exchanged in January 1780. In 1780 the Queen’s Rangers participated in the successful reduction of Charlestown, South Carolina. 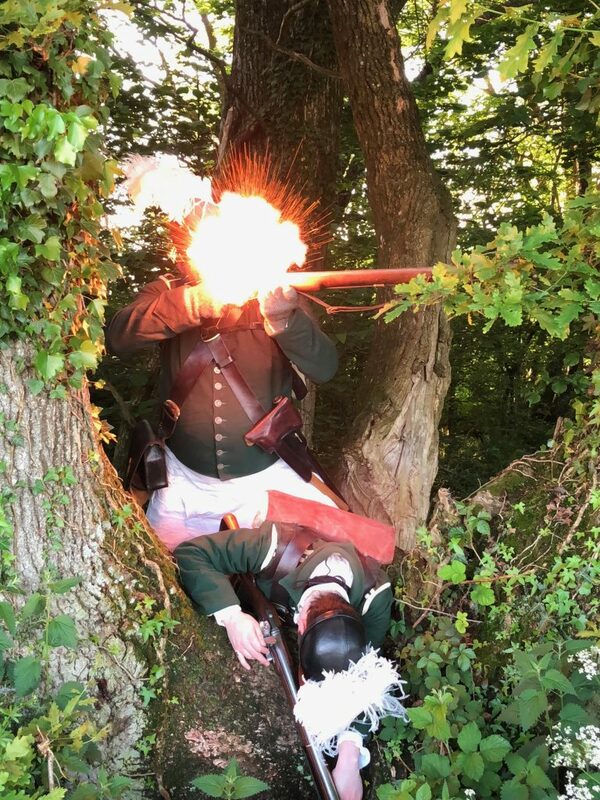 Rapid and effective raids against rebel units and stores in Virginia shocked the government of that colony during 1780-1. The service record of the rangers came to an end with the general surrender of British troops at Yorktown and Gloucester Point in Virginia on October 19, 1781. Simcoe and a few others being granted leave on parole to use the cartel vessel Bonetta to go to New York with news of this defeat. 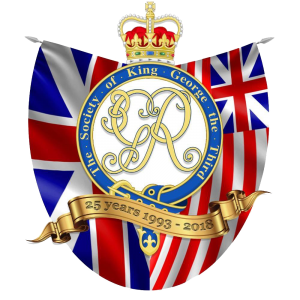 On the conclusion of the war the Queen’s Rangers was disbanded in Canada. Many of the officers and men, with their families, receiving grants of land in what became the parish of Queensbury, York County, New Brunswick.